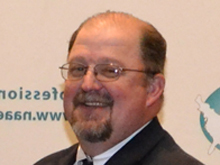 Hello NAAE members, I enjoyed seeing old friends at national conference. It is always the best part of attending regional and national conferences. My NAAE friends are quick to help out when needed, but also will put me in my place when needed. I want to thank the NAAE board, staff, interns, and members for their efforts that made the conference run smoothly. I heard plenty of positive comments and a few suggestions to make it even better in the future. Growing up on a dairy farm in Wisconsin, young Craig Kohn had no intention of ever teaching agriculture. Instead, he wanted to become a doctor. Today, Kohn has just completed his sixth year teaching agricultural education at Waterford Union High School, and is completely devoted to his job and making his program better every year. Thanks to a great response to last year's contest, we've decided to once again challenge high school and middle school agriculture teachers to create videos showcasing the great things their agricultural education programs do. 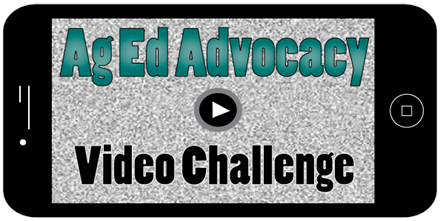 This year's advocacy video challenge theme is "How is your agricultural education program preparing you (students) for a bright future?" Enlist your students, community and supporters to tell your program's story in 2 minutes or less. You could win recognition for your program and a registration to attend next year's ACTE National Policy Seminar. Follow this link for complete challenge details. It's been an exciting and productive fall and winter for Teach Ag. The months ahead will be no different. I would like to take a moment and bring you up to speed on a few things. Are you doing amazing things in your program? Are you proud of your student's achievements inside and outside the classroom? Do you believe in the future of agricultural education? If you answered yes to ANY of these questions then you need to be sharing your ag ed story. Feeding their school's commercial ewe operation was taking a lot of time. Ag Teacher Dan Stehlik and his advanced welding students solved the problem by creating a simple bale feeder. Get a snapshot of Keith Scheibel's unique agriculture program in upstate New York where the focus on diversified agriculture has led him and his students in directions they never imagined. Communities of Practice is a great tool to find and share information, but did you know that as a registered user, you have the ability to create your own space within the site? These areas are called social groups, and they're one of the best kept secrets of CoP. The parliamentary procedure community in CoP is chock full of great resources, thanks to our fantastic facilitator. Tell us how you plan to use Communities of Practice in 2014! Congratulations to the agricultural educators who received awards at the 2013 ACTE CareerTech Vision in Las Vegas on December 4! CoP Highlight: Get Ready for Spring! The Ag Educator Relief Fund exists to help fellow NAAE members in times of personal crisis. Social groups on Communities of Practice work a lot like a community (the broad categories you see to in the spaces menu on the home page), but they can be created by any CoP user, and customized to fit a particular project or user's needs. Groups can be open, members only, private or secret. Open groups allow all CoP members to view and post content. 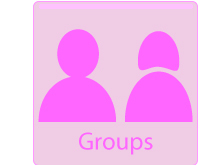 Any user can see a private group, but must request to join in order to see content within the group. Secret groups aren't visible on the site to anyone except members, and require a current group member to invite others to join. Groups have all the features of a community, but are intended to be self-managed and more focused on one topic or interest. There are currently hundreds of groups on Communities of Practice. Some function as the sharing space for state agriculture teacher associations, some are being used as the information hub for online university teacher education courses, and some bring together teachers who share a common interest and want to explore it further. On the CoP homepage, click the "browse" button at the top of the page, select "places" from the drop down menu. Click the Social Groups button from the menu across the top. You can further filter your selections once the groups appear. Following a group would allow the activity in the group to be on your activity stream, allowing you to see posts whenever you log in to CoP. Go to the homepage of the group you want to follow. Click the "Follow" button on the right. This will change that button to say "Following." Click the Create button at the top of the page, then click on the Places tab at the top of that drop down window. Select "group" from that list. Customize your group's settings of your group, enter a description, and select tags for the group. Once you have completed all the fields, hit "create group" at the bottom of the page.